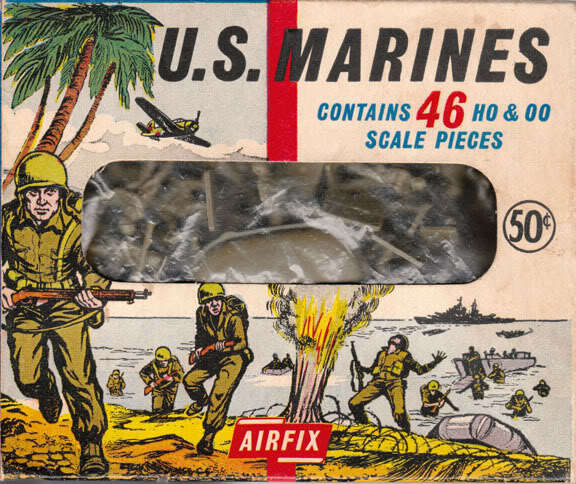 Here's a superb 59-piece set of the famous U.S. Marines in action! This exciting set includes marines firing bazookas, marines with flame throwers, rifles, etc. Complete with assault boat.